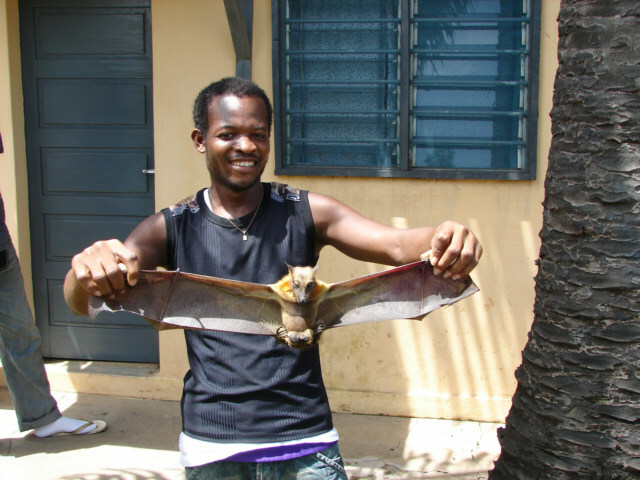 This is a big Bat, or Chauvesouris in French, I walked into a compound home today and these boys are holding this big animal. 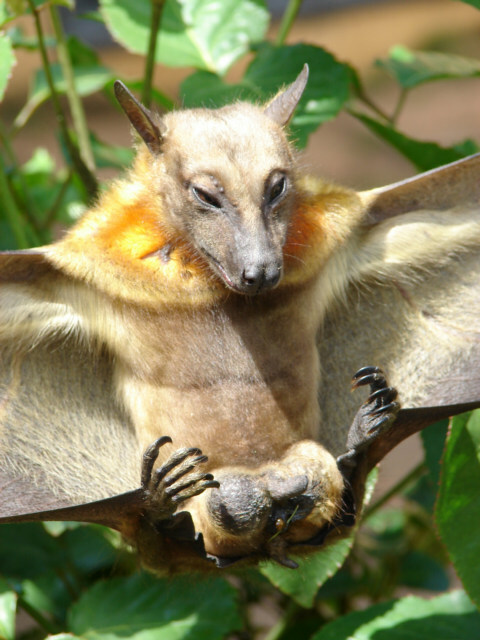 Bat in English or Chauvesouris in French. They have been watching too many movies or doing this everything is bigger in the USA stereotype thingy.